India at 70 has changed radically. It is not as if communal conflagrations did not happen in the past. Communal frenzy has, however, never been expressed with such violence at the level of the individual. Belief in Hindutva is the centrepiece of the establishment’s credo. Hindutva involves intolerance towards any form of dissent, regimenting people and threatening those who do not adhere to its norms with violence. The “instant justice” of the cow vigilantes instil fear among people. The cow has become the symbol of Hindutva ideology. For the Hindutva brigade, however, protecting the cow is per se not important. What is important is their message: The cow can be protected by striking the fear of violence amongst minorities. Acronyms associated with schemes borrowed from the Congress Party, statements unrelated to reality and sound-bytes which belong to the post-truth world are the new weapons of persuasion. Unfulfilled agreements worth billions of dollars with China and Japan, smart cities wallowing in pestilence, the Ganga’s polluted waters and the mirage of a digital economy are today’s reality. All of this from a PM who says more than what he means and does less than what he says. His sojourns abroad provide lessons in event management. A red carpet welcome accorded to the PM is shown as a unique event — as if such courtesies were not extended to previous PMs. MoUs are publicly acclaimed as milestones. Yet what we get eventually is next to nothing. Instead of getting us something to cheer about from the US, the PM got us a deal on 22 Guardian Drones. Is India on the Verge of Building a Super Jet Fighter? In 2016 the Indian Navy rejected the domestically built Tejas jet fighter—or Light Combat Aircraft—after a troubled thirty-three years of development in which the maritime fighting branch had invested significantly. However, the Indian Navy argued that the Tejas weighed too much, and produced insufficient thrust for takeoff from the ski-jump ramp of its forthcoming aircraft carrier. But the Indian Navy hasn’t given up entirely on the Tejas; it is considering a Mark 2 variant under development, which will be powered by the same F414 turbofan engines as the U.S. Navy’s Super Hornet fighter. The Tejas was developed out of the Light Combat Aircraft program, which sought a replacement for the hundreds of MiG-21 fighters nearing the end of their service lives in the Indian Air Force. The single-engine Tejas has a tailless delta-wing configuration and supposedly costs only $25 million per airplane. However, it took decades for the LCA to come together, and it continued to rely heavily on foreign components, including an Israeli Doppler radar and General Electric F404 turbofan engines. With a top speed of Mach 1.6 to 1.8, a maximum external load of 7,700 pounds and a service ceiling of fifty-two thousand feet, the Tejas remains unexceptional compared to top-performing fourth-generation light fighters such as the F-16. The Indian Air Force has only ordered 123 Tejas jets so far to equip six squadrons by 2024. HAL, however, is having difficulty ramping up production from eight aircraft a year to the desired sixteen. India at 70. How did we do? The Indian economy is now the fifth largest in the world measured by nominal GDP and the third largest by purchasing power parity (PPP). Its GDP in 1950 was $30.6 billion. In 2017 India’s GDP was $2.54 trillion or $ 9.69 trillion (PPP). Its industrial sector accounts for 29.02% of its GDP and India now is rightly classified as a newly industrialized country. When India gained independence in 1947 its population numbered about 340 million. The literacy level then was 12% or about 41 million people. In 2017 India’s population scaled 1.34 billion and literacy level reached 74% or about one billion. That is a huge shift in numbers, and a hugely impressive achievement. Never before in history have so many people moved from one to the other. True our numbers are staggering and hence only one other country can provide a benchmark. The increasingly aggressive Chinese foreign policy is primarily driven by two factors: A build-up of nationalistic fervour in domestic politics and the Chinese economy’s hunger for new markets. The stand-off with China in Doklam is not about who blinks first, it is about a much broader game India has always been a part of. We need to understand what is motivating China in initiating these flare-ups and how we can protect Indian interest. The increasingly aggressive Chinese foreign policy is primarily driven by two factors: A build-up of nationalistic fervour in domestic politics and the Chinese economy’s hunger for new markets. Soon after taking over as the General Secretary of the Central Committee of the Communist Party of China, in 2012, Xi Jinping spoke of the “Chinese dream,” a term that, among other things, referred to national glory. Soon after he took over as the Chinese president in 2013, Xi undertook efforts to expand the Chinese footprint worldwide. These “nationalistic” efforts have also resulted in sparking conflicts with inconvenient neighbours. Since 2014, we have seen a pattern: From the PRC’s escalating tensions with the Philippines and Vietnam in the South China Sea to increasing conflict with Japan over Senkaku Islands in the East China Sea, from the downturn in relations with South Korea over Seoul’s deployment of US THAAD (Terminal High Altitude Air Defence) to the tensions over Doklam. Interestingly, each time a conflict arises, the state-run Chinese media drums up patriotic war-rhetoric. A strong nationalist sentiment helps Xi consolidate and look beyond just the next term, which looks certain now. With five of the seven members of the Politburo Standing Committee set to retire at this year’s Congress, President Xi is looking to consolidate his hold by getting loyalists like Wang Huning into the PB. THERE appears to be no early solution to the ongoing standoff on the Doklam plateau. 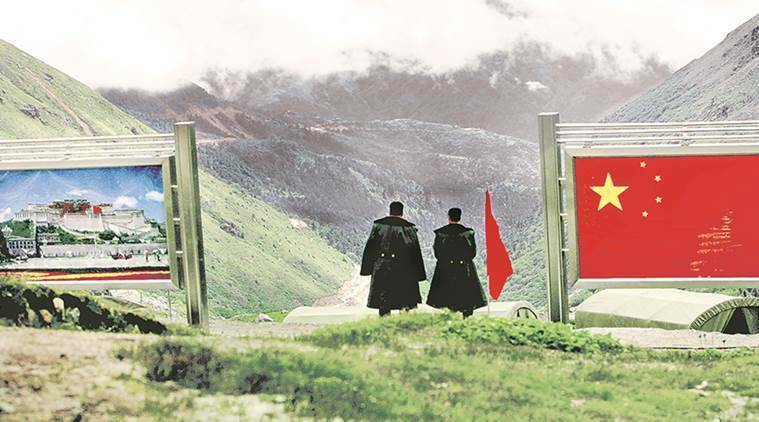 China's unilateral action to alter the location of the tri-junction between India, Bhutan and China is unexceptionable and violates the 2012 agreement. There is a deeper move in this attempt to build a road on this plateau. It not only aims at posing a serious threat to the Siliguri corridor by crossing the Torsa Nala and occupying the Jhamperi Ridge, but also wean away the only country left in India's neighbourhood, where it exercises influence and comes in the way of China's attempt at complete encirclement of India. China has been assiduously working to encircle India both on land and sea, with the eventual aim of capturing markets and relegating India to a secondary position. Such a move is reminiscent of the gun-boat diplomacy of the seventeen-eighteen centuries by European countries. Building OROB (One Road one Belt) and CPEC (China Pakistan Economic Corridor) is in line with the gun-boat diplomacy of that period, though, through a different format, the sole purpose being to capture markets, in the region and beyond. China has succeeded in gaining influence and foothold in almost all of India's immediate neighbourhood, sans Bhutan. This Doklam effort is to draw Bhutan too out of India's sphere of influence. India's inability to counter these moves by China bears on our foreign policy and diplomatic skills. The Taliban retook control of the contested district of Jani Khel in Paktia from Afghan forces last night. The district has changed hands three times over the past two weeks. The repeated loss of Jani Khel to the Taliban demonstrates the difficulties Afghan forces face in holding onto remote contested districts. Afghan officials and the Taliban both confirmed that Jani Khel fell to the Taliban. An Afghan official told TOLONews that security forces retreated from the district center after Taliban fighters launched their assault. “The security forces asked for air support during the clashes, but did not receive a response and retreated from the district as a result,” an official told the Afghan news agency. Paktia province is a known stronghold of the Haqqani Network – the powerful Taliban subgroup based in eastern Afghanistan and in Pakistan’s tribal areas. Sirrajuddin Haqqani, the leader of the Haqqani Network, serves as one of the Taliban’s two deputy emirs. In a statement released on Voice of Jihad, the Taliban’s official propaganda outlet, the group claimed that “over 12 puppets were killed and at least 17 others suffered injuries” after Taliban fighters took control of the police headquarters, the district administrative center and surrounding security outposts. The Taliban claimed two of its fighters were killed and three more were wounded. Washington, D.C. – U.S. Senator John McCain (R-AZ), Chairman of the Senate Armed Services Committee, today announced an amendment he has filed to the National Defense Authorization Act for Fiscal Year 2018 (NDAA) that offers a new strategy for success for the ongoing war in Afghanistan. For months, Chairman McCain has urged the new administration to submit a strategy for success to Congress, but no strategy has been submitted to-date. 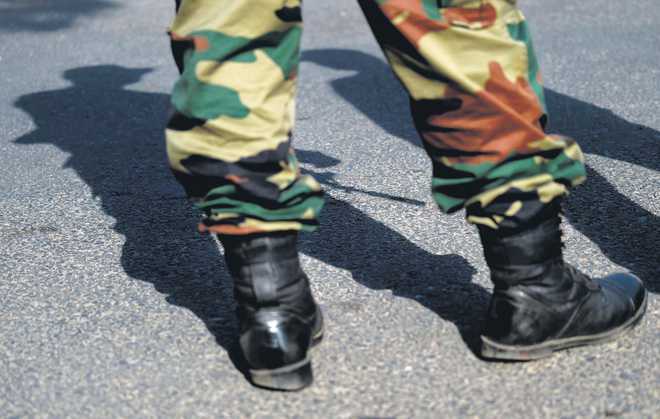 Developed in consultation with some of the nation's most experienced and respected former military and intelligence officials, the strategy calls for a civil-military approach to bolster U.S. counterterrorism efforts, strengthen the capability and capacity of the Afghan government and security forces, and intensify diplomatic efforts to facilitate a negotiated peace process in Afghanistan in cooperation with regional partners – supported by an enduring U.S. troop presence. “America is adrift in Afghanistan. President Obama’s ‘don’t lose’ strategy has put us on a path to achieving the opposite result. Now, nearly seven months into President Trump’s administration, we’ve had no strategy at all as conditions on the ground have steadily worsened. The thousands of Americans putting their lives on the line in Afghanistan deserve better from their commander-in-chief. In a recent meeting, President Trump correctly told his generals that they were “losing” the war in Afghanistan, rejected their proposed strategy, and sent them back to the drawing board to create a new one. Like chronic alcoholism, compulsive American meddling in the affairs of other countries can only be recovered from by admitting the problem exists in the first place. President Trump has partially accomplished this first step by recognizing what has been obvious for years, but an even more enlightened conclusion would be that the war has been “lost” for quite some time now and the only solution is to withdraw U.S. forces as quickly as possible. However, that is not the new strategy that the generals will likely come up with. Instead, as in Vietnam, they will continue to say—and probably even believe—that a turnaround is still possible. They have had 16 years to “win” the war, but have abjectly failed to do so. In any counterinsurgency war, if the insurgents are not losing, they are winning. Fighting guerrilla style means that insurgents use hit and run tactics against the weak points of a generally stronger enemy (usually government or foreign forces) and then flee before the stronger side can catch them. While much attention has been paid to China’s development of traditional ground-based antisatellite weapons, a more nefarious threat to America’s space assets continues to receive far less attention. In a new article, “Stalkers in Space: Defeating the Threat,” in Strategic Studies Quarterly, Brian Chow, formerly senior physical scientist at the RAND Corporation, discusses China’s “space stalkers,” which he calls a “game-changing threat” to America’s satellites. Why has China brazenly and defiantly violated India’s sovereignty and territory in connivance with military rulers of Pakistan? If China refers to Kalapani, India too can talk of Taklakote (old Hindu mythological name of Purang), which is 20 km downhill of watershed Lipulek Pass of Sino-Indian border. Indeed! Why Kashmir, Kalapani or Uttarakhand, Ms Wenli? Why not enter anywhere, anytime, any day, any place of the world, with or without passport or visa? Without batting an eyelid, trample the sovereignty of any or all contiguous. Did China not enter Kashmir, which is Indian territory, in the 1950s during the time of Mao Zedong and Zhou Enlai whose “memorable stabbing” of Jawaharlal Nehru today constitutes the folklore of India’s momentously misplaced and misjudged foreign policy of “trust China”? Did not China ravage Tibet in 1950 without any sovereign rights thereon? Between 1945 and 1960, world order changed dramatically. Not only did empires crumble, following the conclusion of World War II, but unprecedented forces were released, realigning, not only empires but also conglomerate of states, which included the Chinese land mass. During this period, Chinese military and political leader, Chiang Kai-Shek, sought refuge in the island of Taiwan and the People's Liberation Army got China on a trajectory of moving from strength to strength. In less than three years of the communist take over (1949) of mainland China, the statesmen of that country started looking at the boundaries which were open to question because of various legacies. From Japan to Tibet, even in the face of unsettled domestic situation, the Chinese leaders were pushing beyond the conventional existing maps. A classic case was that of incorporation of Tibet as a part of China with an obliging leadership in the neighbourhood. Because of a self-styled iconoclast as the Indian Prime Minister, the agreement on Tibet was easy. Further, the permanent seat in the United Nations Security Council, which could have gone India's way, was gifted to China. The issue, however, was of crumbling empires, redefining boundaries and contentious posturing. There is a common thread weaving through all this disintegration, reintegration, redrawing of boundaries which provide a thematic unity to the times. Indeed, it was not always armorial power which defined the day. In some cases it was just the clarity of purpose or statesmanlike, proactive, moves clinching the issue. On August 11, while the Chinese public attention is focusing on the powerful earthquake that struck Sichuan and Xinjiang, China’s internet regulator — the Cyberspace Administration of China — announced that it’s investigating China’s top three internet giants for potentially violating the Cybersecurity Law. The Cyberspace Administration specified that it is the three giants’ social media platforms — Tencent’s WeChat (China’s biggest messaging app), Sina’s Weibo (China’s leading online news and social networking service), and Baidu’s Tieba ( China’s largest BBS-like communication platform) — that are under investigation. To show its resolution, the Cyberspace Administration also vowed to “further increase the intensity of internet content supervision and law enforcement” toward illegal acts online. In addition, the Cyberspace Administration welcomed netizens to report any “harmful” online information and published its 24-hour hotline number, website, and email. In CWIHP Working Paper #76, "Not at the Cost of China: New Evidence Regarding US Proposals to Nehru for Joining the United Nations Security Council," author Anton Harder examines the controversy surrounding India's role in the United Nations Security Council in the 1950s. Using Indian archival material from the Nehru Memorial Museum and Library, this paper shows that America's interest in seeing India join the Security Council was motivated by the emergence of the People's Republic of China as a regional power, and that this episode was an early example of the United States attempting to use the United Nations to further its own Cold War interests. Anton Harder is a PhD candidate in the International History Department of the London School of Economics. His dissertation is on Sino-Indian relations from 1949-1962. Click Here to Read "Not at the Cost of China" as a PDF. The issue of India’s right to a seat on the United Nations Security Council (UNSC) is a controversial one in India today, but it is not new. The historical controversy has centered on the culpability of independent India’s first Prime Minister, Jawaharlal Nehru, in not seizing several alleged opportunities for India to join the United Nations Security Council as a permanent member in the 1950s. Nehru’s critics, then and now, accuse him of sacrificing India’s national interest on dubious grounds of international morality. The question, however, goes beyond Nehru’s reputation, as it provides rare insights into India’s relations with the United States and the People’s Republic of China (PRC) at the beginning of the Cold War. The Trump administration has to come to terms with certain cruel and painful realities. The rhetorical war of words between President Trump and North Korean leader Kim Jong-un has made it far more difficult to de-escalate the mounting crisis over the North’s nuclear weapons and ballistic-missile programs. But so, too, has a failure to come to terms with certain cruel and painful realities about the current situation. These ground truths aren’t pretty, and they may well be politically inconvenient for the Trump administration to accept. But without coming to terms with them, it’s doubtful that the Trump administration will be any more successful in managing let alone resolving the North Korean nuclear challenge than any of its predecessors. H. L. Mencken once opined that in a democracy it’s unfashionable to talk about the disease without discussing the remedy. And in the case of North Korea we must first see the world the way it really is before launching into a set of unrealistic and unrealizable remedies to fashion it the way we want it to be. The provocative rhetoric from Kim is expected and predictable—both for his domestic consumption and maintenance of his tough and determined image on the world stage. The rhetoric from President Trump in response is both careless and irresponsible. The president, not once but twice, used intemperate and committing language (“the likes of which the world has never seen”), which plays into Kim’s hands, provokes him and causes severe upset and concern on the part of China, Japan and South Korea. Mr. Trump has put himself and the United States in the stunningly difficult position of now having to respond strongly with some action to such a test or to back down and thus reveal weakness and lack of resolve. These verbal redlines—regardless of the North Korean rhetoric that instigated them—are counterproductive. Trying to compete with Kim in a hyperbole contest sets in motion an escalatory cycle that makes America look small and insecure. The United States and its Asian allies regard North Korea as a grave security threat. It has one of the world’s largest conventional military forces, which, combined with its escalating missile and nuclear tests and aggressive rhetoric, has aroused concern worldwide. But world powers have been ineffective in slowing its path to acquire nuclear weapons. The North’s leader, Kim Jong-un, sees the nuclear program as the means to sustain his regime. While it remains among the poorest countries in the world, North Korea spends nearly a quarter of its GDP on its military, according to U.S. State Department estimates. Its brinkmanship will continue to test regional and international partnerships aimed at preserving stability and security. Estimates of the country’s nuclear stockpile vary: some experts believe Pyongyang has between fifteen and twenty nuclear weapons, while U.S. intelligence believes the number to be between thirty and sixty bombs. The regime conducted two tests of an intercontinental ballistic missile (ICBM) capable of carrying a large nuclear warhead in July 2017. The Pentagon confirmedNorth Korea’s ICBM tests, and analysts estimate that the new missile has a potential range of 10,400 kilometers (6,500 miles) and, if fired on a flatter trajectory, could be capable of reachingmainland U.S. territory. Good Saturday morning and welcome to Weekly Recon. On this day in 1961, in an effort to stem the tide of refugees attempting to leave East Berlin, the communist government of East Germany begins building the Berlin Wall to divide East and West Berlin. Construction of the wall caused a short-term crisis in U.S.-Soviet bloc relations, and the wall itself came to symbolize the Cold War. In the days and weeks to come, construction of a concrete block wall began, complete with sentry towers and minefields around it. The Berlin Wall succeeded in completely sealing off the two sections of Berlin. The U.S. military is exploring the future of infantry operations, and it recently tasked Lockheed Martin with the job of developing concepts of future technologies for infantry squads. Under a program dubbed Squad X Core Technologies, Lockheed was awarded $12.8 million to design and test prototype equipment for dismounted infantry units. The undertaking could prove difficult however, as the Army has long aimed at fielding new high-tech equipment for its grunts through sweeping technological advancement programs, but often come up short. 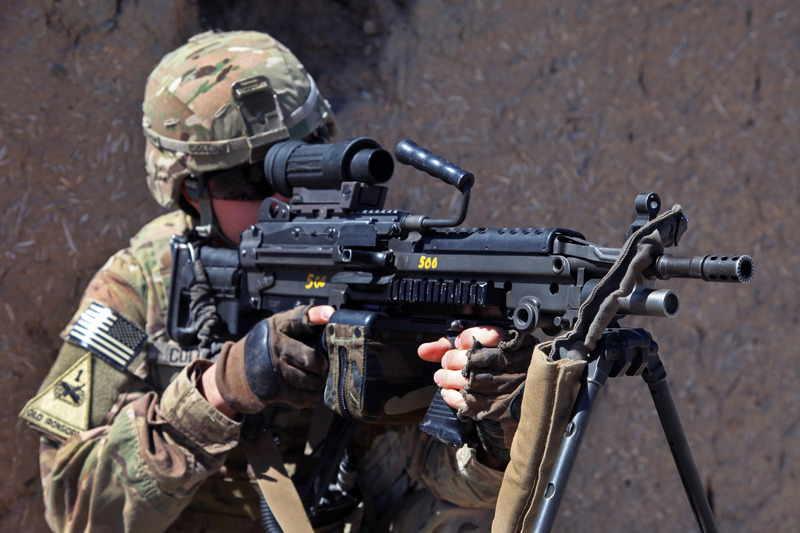 As Stephen Carlson at UPI notes, “High costs and the difficulties of using sophisticated equipment while moving on foot in complicated environments has delayed deployment.” Beyond Squad X, the U.S. Army is also looking to replace its M249 Squad Automatic Weapon (SAW) under a program called the Next Generation Squad Automatic Rifle (NGSAR). 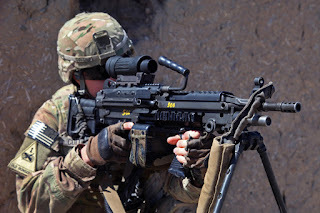 But, the Army wants to explore the possibility of the NGSAR filling a number of different roles, including: carbine, medium machine gun, and designated marksman rifle. But as Joseph Trevithick points out at The War Zone, the Army has a long track record of failing in such endeavors, from the M-60’s development to the failed XM-8 family of rifles. The Army has yet to decide just how wide of a scope the NGSAR will have. Army officials outline challenges to cyber, signal and electronic warfare training. Lt. Gen. Mark Bowman, USA (Ret. ), former director of command, control, communications and computers/cyber for the Joint Staff, paints a dire picture of future warfare. The next war, he says, will begin with wave after wave of cyber and electronic warfare attacks that our nation is not prepared for. Although the Army is making strides in training the cyber electromagnetic activities (CEMA) force, the service may not be able to address all scenarios in a training environment. “We as a nation are extremely vulnerable. More so than any of us would really want to admit—not only our networks but our infrastructure and the bad guys are banging on us every day,” Gen. Bowman told the AFCEA TechNet Augusta audience. He added that although the service is training for CEMA at the National Training Center, it is not yet doing enough. He related a time when he was in charge of a network that was attacked and taken down by the Russians. “It was an ugly event, but it was much the same as a natural disaster, such as Katrina. They whacked us. Our network went down, and we started rebuilding,” Gen. Bowman recalled. But if hit with multiple waves of attacks, rebuilding will not be so simple. “They’re going to hit us and hit us and hit us, and the only way we’ll be able to survive and to operate through that is to start expanding the level of training and the experience that we have operating with degraded systems or sometimes no systems at all,” he added. Cyber, robots, artificial intelligence and other technologies will define the multidomain battlefield. On the multi-domain battlefield of the future, U.S. forces can expect to see more robots, pilotless ships and planes, and driverless convoys, as well as cyber and other game-changing capabilities, said Lt. Gen. Paul Nakasone, USA, commanding general, U.S. Army Cyber Command. Gen. Nakasone made the comments during the afternoon keynote address at AFCEA TechNet Augusta 2017 in Augusta, Georgia. The general compared the changes to those made during World War I, which transformed warfare for the 20th century, just as cyber and other technologies are doing for the 21st century. “To succeed on the future battlefield will require our Army and the joint force to adapt how we fight in response to these changes. Military history is filled with examples of armies that adapted their tactics in response to change, and quite frankly, those armies that did not,” Gen. Nakasone said. Indian Air Force (IAF) fighter jets will have significant advantages if they are required to operate against Chinese aircraft over Tibet in the event of hostilities. The assessment, first reported by NDTV's Vishnu Som, is based on a new unreleased document by a former IAF fighter pilot. It comes amid heightened bilateral tensions arising from standoff between Indian and Chinese troops in Doklam. The assessment, titled 'The Dragon's Claws: Assessing China's PLAAF Today' was made by by former IAF fighter pilot Squadron Leader Sameer Joshi for Vayu aerospace. Joshi says that "Terrain, Technology and Training, will assuredly give the IAF an edge over the PLAAF (People's Liberation Army Air Force) in Tibet and southern Xinjiang." This would allow the IAF to counterbalance the PLAAF's numerical superiority. Companies that pay close attention to the trends and shifts affecting growth and productivity can help create a new societal deal for prosperity. What will it take for cybersecurity policy to finally catch up to the digital age? I get this question often, and increasingly I worry that it will take a true “black swan” event to shock the system. Black swan events are rare, come as a surprise, and have a major impact. However, in 2017 alone, we seem to have already spotted a few black swans: WannaCry ransomware disrupted 300,000 machines, and just weeks later we saw NotPetya, both of which continue to cause disruption. CrashOverride/Industroyer emerged as a highly customizable malware aimed at disrupting power grids (and succeeding in Kiev), and elections across the globe have experienced interference and hacked data dumps. Any one of these might have seemed to be enough of a black swan to warrant attention on the policy front, and yet almost nothing has changed. This is simply not sustainable. Both public and private sector organizations are increasingly caught off-guard with each new digital attack and are left with almost no policy-informed recourse. The majority of current U.S. cybersecurity legislation is 30 years old and best suited for Cold War technologies and adversaries. For decades, the focus has been on technical solutions to block and deter threats. While technological innovation remains extremely necessary for defense, it’s time to move beyond additional reviews and progress toward a cybersecurity strategy relevant for today’s threats. There is a lot of excitement about the potential of digital1in chemicals, just as there is about digital across society in general. We believe that digital will have a significant impact on many areas of the chemical industry, with the potential to change value chains, lead to higher productivity and more innovation, and create new channels to market. Given all the excitement about digital, it is essential to separate the substance from the hype and carefully evaluate what this will mean for the industry. In a 40-minute speech, Prof Hawking said that the new “M Theory” of the universe was the “unified theory Einstein was hoping to find”. He compared the idea to the computer programme Google Earth, saying it was a “map” of theories, but added that a new, bigger Hadron Collider the size of the Milky Way was needed to collect more data to prove it.